You’re playing the first hand of a shootout tournament and you have 62 in the small blind. Everyone folds and you call. 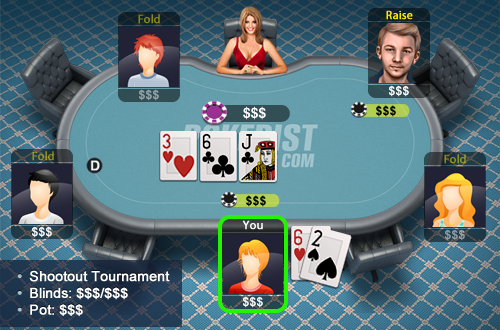 The flop comes 36J and you bet and get re-raised.